A gorgeous hotel with a variety of rooms and suites available, with impeccable amenities and entertainment. Sounds too good to be true, but can be conveniently found at the Mount Airy Casino Resort in Mount Pocono, Pennsylvania. With four restaurants and a variety of other food options, you’ll never be bored, and world-class musical entertainment and casino will keep you entertained long after the sun goes down. Nights heat up with the brand new “Wet” nightclub, featuring poolside cabanas and live entertainment. Feeling worn out? Visit the salon and spa to recharge and reset, to do it all again. If you find yourself in search of refined, adult digs while visiting the city of Brotherly Love, check into Sofitel. A sophisticated experience as sleek as it gets, this Philadelphia location sets the standard. If the incredible on site bar isn’t to your liking, take a short stroll to some of the best entertainment in the city. Designed as a forest escape for those overwhelmed with the everyday, the Woodlands Resort is an incredible option for a Pennsylvania retreat, with convenient shuttle service to the nearby Mohegan Sun Casino. Experience dancing, incredible live entertainment, fine dining, and a full-service spa in one of the most beautiful surroundings imaginable. A couples-only option for those extra romantic getaways. Enjoy the very-private Lake Eden, a flawless setting for an even better hotel. All suite rooms with two restaurants and a nightclub, Paradise Stream Resort is a worry-free option for adult vacations. Don’t forget the on-site spa, where massages and aromatherapy treatments will make you forget the outside world entirely. This King of Prussia hotel has all the amenities one would expect from a Radisson, with the added bonus of incredible fantasy suites! Choose from themes like Caesar's Palace, Leather and Lace, and even Titanic to make all your grown-up imaginings come true. The Inn at Bowman Hill is a fabulous escape for busy adults who need time for themselves. Set on five pristine acres, this estate boasts a fantastic pool, and the beautiful surroundings typical of Buck’s County. Enjoy an in-room massage, or just wander the gorgeous grounds. Up the ante with a stay in the Penthouse Suite, 800 square-feet of pure bliss. The suite boasts a deck, and a corner bathtub with its very own night sky, which shines bright any time of day thanks to 300 overhead fiber optic stars. 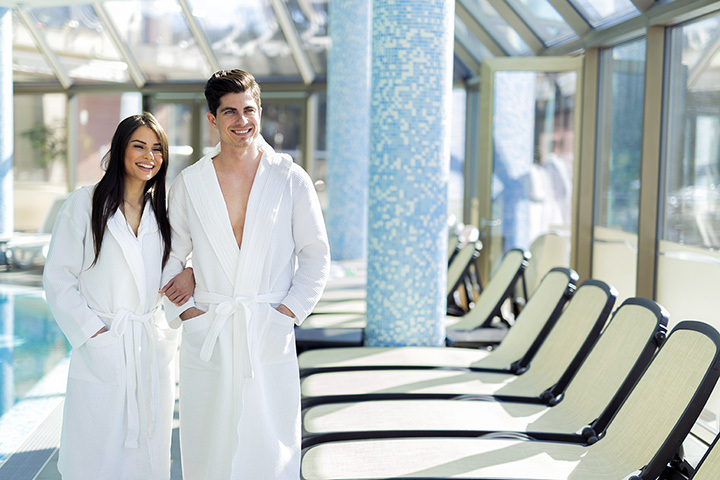 Whether you’re taking in a show, watching live harness racing, or visiting the 4,000-square-foot spa, Mohegan Sun is undoubtedly a top option for an adult getaway in the state. Nineteen dining options, combined with incredible shopping, promise fun-filled days and exciting nights. Let go of it all in the heart of Amish country at the Australian Walkabout Inn. The scene is set with beautiful hardwood flooring and antique decor, and truly incredible food on site takes it even farther. Relax in a room with a fireplace and Jacuzzi, and treat yourself to a relaxing massage. Truly one of the more refined hotels around. The Omni Bedford Springs boasts an 18-hole golf course, heated indoor and outdoor pools, and a 30,000-square-foot spa. Still not convinced? The 1806 building has played host to 13 United States Presidents.